If you have more time in Warsaw, think about visiting Lithuania. Both countries share a lot of history. For ages Lithuania and Poland formed Europe’s biggest country, the Polish-Lithuanian Commonwealth. Rates might depend on the room configuration (single rooms vs double rooms). 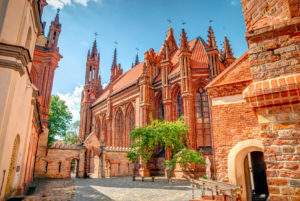 On request we can provide you with tailor made tour itinerary based on flight connection between Warsaw and Vilnius. Vilnius is the biggest city in Lithuania, hosting a number of unique monuments, such as the Cathedral built on the former site of a pagan temple or the famous Gate of Dawn (the pilgrimage point for many generations of Poles), as well as one of the most impressive old university campuses in Europe, the Gothic St. Anne’s Church, and the classical Town Hall. 06:00 – pick up from your hotel in Warsaw. You will meet the driver at the reception desk for a comfortable journey with one of our well-prepared cars. 14:00 – arrival to Trakai – the ancient capital of the Great Dutchy of Lithuania, visit to the impressive medieval castle, lunch break. 16:00 – 18:00 – journey to Vilnius, check in to the hotel. 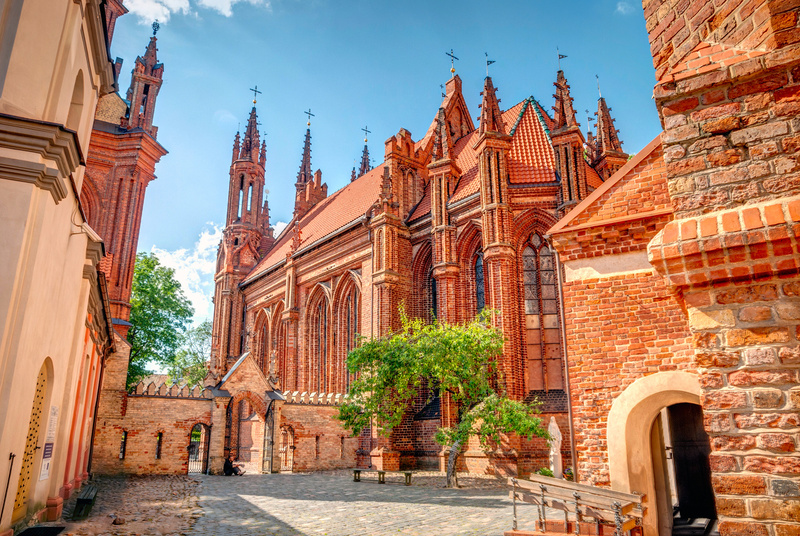 You start with a short walk with your specialized, local guide around historic Vilnius with its Cathedral and Main Square, gothic churches of St. Anna’s and Bernardine and finally the Gates of Down with the miraculous painting of Virigin Mary. 10:00 – A farewell tour around Vilnius. Starting with the KGB museum, the only such site in Europe, where you can wander through the corridors of former KGB jail and feel like a communist prisoner: the museum is located in the old headquarters of Lithuanian KGB (commusit secret service) division. Then, you will have a chance to admire a beautiful view over the whole historic Vilnius from the Castle Hill.